News, music, and musings from the foundation and the farm. 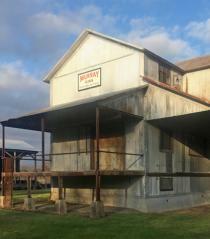 The gin formed the economic heart of the Mississippi Delta plantation that was home to a group of pioneering blues musicians including Charley Patton, Howlin’ Wolf, Son House, Pops Staples, and many others. Every year thousands of visitors come to Dockery from all over the world to experience this history. Through a grant from the Mississippi Delta National Heritage area and your matching donations, we will be able to both preserve and interpret the gin for our many visitors. 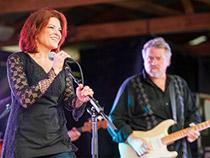 On June 6, 2015, Rosanne Cash and her band performed on the former cotton storage shed at Dockery Farms, and according to Cash it was like coming back to the source. 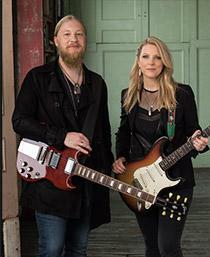 She and her husband John Levanthal have taken several trips through the Mississippi and Arkansas Delta in recent years, and she credits that journey with inspiring the songs on her most recent album The River & The Thread. A “vortex” is how she describes the Mississippi Delta, since so many history-shaping events took place in this region.